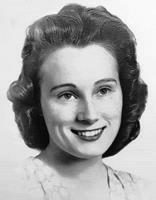 Jean J. Behrends , age 92, was born on January 6, 1925 to Margaret and William R. Jones in Lewisville, OR. She was the 9th child in a family of 11 and was home delivered by her father. She grew up in that area and graduated from Monmouth High School and later attended Willamette University in Salem, OR. She met Don when he was in the army stationed at Camp Adair, OR and they were married in Salem, OR in 1946. From there they moved to Forest Grove, OR where Don obtained his Dr. of Optometry degree and then they moved to Vancouver, WA in 1953 where they lived for the next 64 years. Jean is survived by her husband Donald Behrends; son Dennis Behrends; daughter Becky (husband Rick) Morcom, both live and work in the Seattle area; grandchildren Brianne and Alex Behrends, Samantha and James Morcom. During her lifetime she worked at many different jobs. The longest was 10 years for Alcoa here in Vancouver. The most unique was the elevator operator in the Sears building in downtown Seattle in the 1940's. She enjoyed working and enjoyed people. She also played bridge for many years. 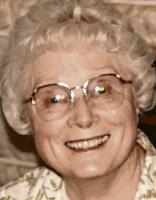 Jean was a member of Columbia Presbyterian Church for over 40 years. She served as Treasurer, Deacon, Elder, Sunday School Teacher, Camp Cook, and played in the hand bell choir for 15 years. Jean enjoyed travel and went to Alaska, Canada, Mexico, Hawaii and Europe, in addition to several trips across the U.S. Her family was always special to her and she loved to host family get-togethers and holiday dinners. Her family misses her kind and determined spirit. She passed away peacefully at home, with family at her side, on October 6, 2017.